This classical design is the dream space of most homemakers. Simplicity and classy feeling is the highlight of this kitchen. 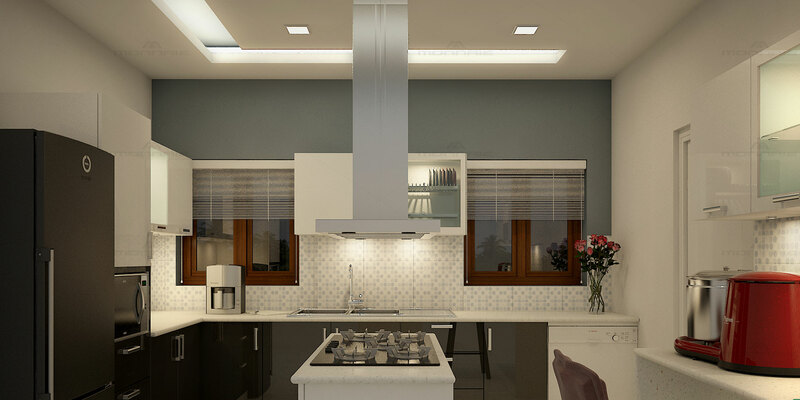 White wall painting gives a positive fresh look, while one wall highlighted in greyish blue provides a modern look to your kitchen. Black and white combination of bottom cabinet and granite top, gives a magical touch to its beauty.